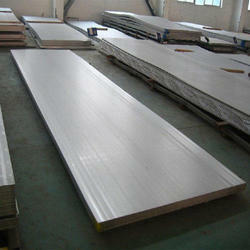 Leading Wholesale Supplier of hot rolled chequered plates and hot rolled plate from Ghaziabad. Hot Rolled Chequered Plates offered can be made available by us in thickness options of 1.4mm to 16mm as well as in width choices of 600mm to 1500mm or as demanded by the customers. Finding use in furniture making and other applications, these come with antiskid finish as well as decorative patterns. Some of its features include use in shipbuilding, boiler, automobile, as floor board, deck board and others; different choice of patterns like diamond, oval blend shape, circular bean form and others; suitable for use in preventing slippery conditions, can be offered as per different industry standards. We are leading supplier of HR Plate. Our entire product range is procured from trusted vendors, who use high grade steel and latest technology in the production process. From ordinary mild steel up to stronger steel with greater yield points, the quality grades are available. Our esteemed clients can avail this product from us at market leading prices.